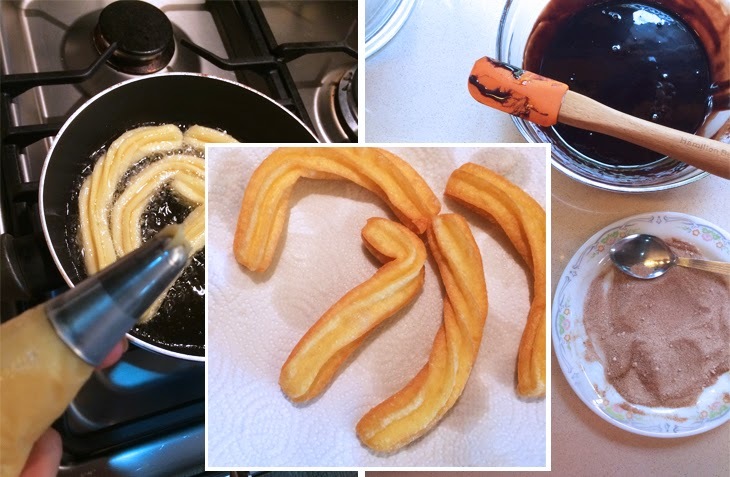 One of the happiest activities I can think of is scooping fresh churros out of the hot oil, then rolling them in cinammon sugar… and the best bit: dipping them in melted dark chocolate before going in for the sweet bite. I love churros. Unfortunately, there will be no instant gratification for me here as I have yet to find a good churro place where I live. For now, it shall have to be a rare weekend or day off treat for myself (and maybe some cousins who happen to be around). 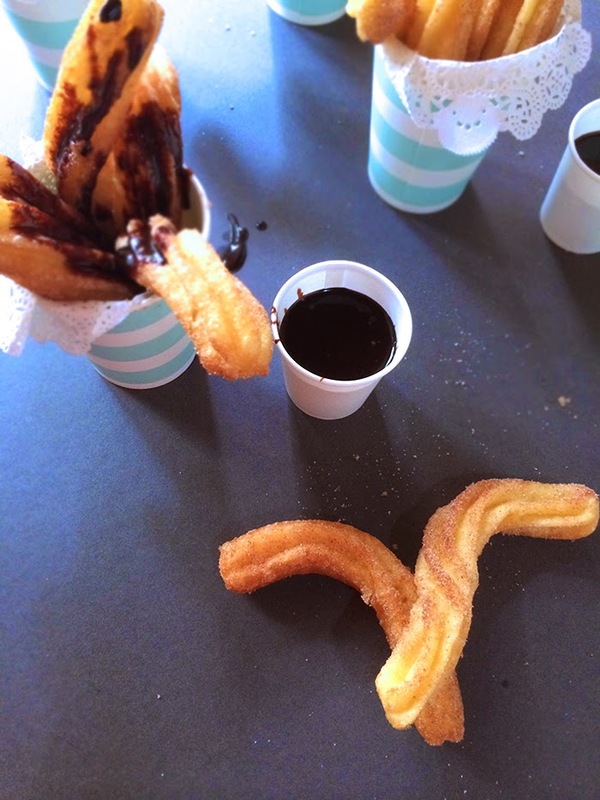 Explaining churros to my grandmother was quite the feat… I settled with “Spanish cucur”. Close enough. In a large, flat bottomed pot, heat the litre of vegetable oil. Transfer the dough into a piping bag with a large star tip (I use Wilton 1M) and when the oil is hot, pipe out long sticks of dough over the oil, gently lowering into the oil and cutting off with a pair of scissors when you’ve achieved the length you want. Fry for about 3 or 4 minutes or until golden brown, remove from oil with a slotted spoon and drain on kitchen paper, roll in cinnamon sugar and dip in chocolate and enjoy!